Go cycling more often. Not just when you go to work, but especially while you are at work. 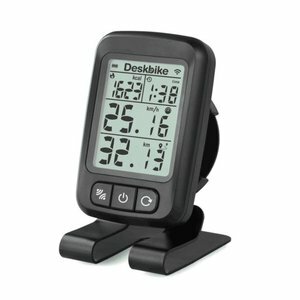 Did you know that this is possible with Deskbike ®! While you are at work you can get your workout routine while paddling and working at the same time. You get fit and smarter in one go. Because movement stimulates your brain and great ideas will pop up for sure. BAN THE OFFICE CHAIR... Get the Deskbike in! No more slouching on your chair all day long but cycling upright behind a height-adjustable table. In more and more offices you come across the Deskbike. Cycling at your desk with the Deskbike is the perfect addition to your daily portion of exercise. No more passive sitting and being able to move results in becoming more active and more productive. In addition to the many useful functions, the Deskbike is a lightweight, easy to move around and works on 100% own power. The Deskbike is whisper quiet and fits in any office space. Turn your workplace into a challenging work out for body and brain and replace your office chair with a Deskbike. Share your Deskbike photo & tag us on social media. Less sitting and more exercise in class? Go cycling! This is possible with the Deskbike Small. While you are learning, you will become completely fit. When you come to a review of the annual reports, Van Breukelen Accountants always has a desk bike ready for you. The application builder Senet has started moving to the new building we designed for them with active furniture.